-Style: Removable breast forms for added shape. 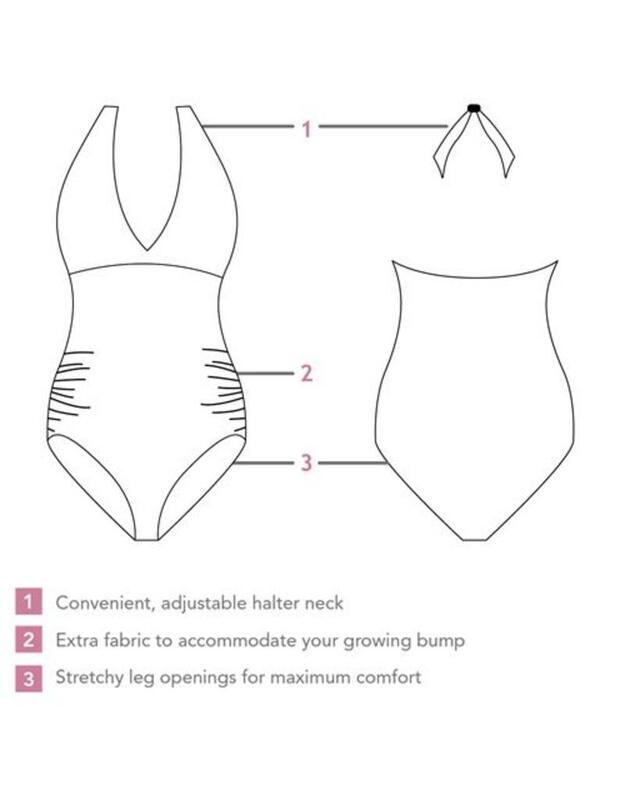 -Functional: The swimsuit is made from soft quick drying fabric. -Colour: The Carriwell maternity swimsuit is chlorine resistant, to retain its true black colour. Note suits tend to run small in size. -Comfort: Expands to comfortably allow for your growing tummy. -Flexible: Halter neck style increases adjustability and comfort. -Support: Double lining over the tummy area to give you extra support. -Soft: Stretchy leg openings add to your comfort. 80% Polyamide, 20% elastane. Made in China.